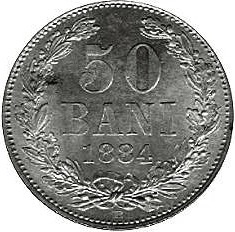 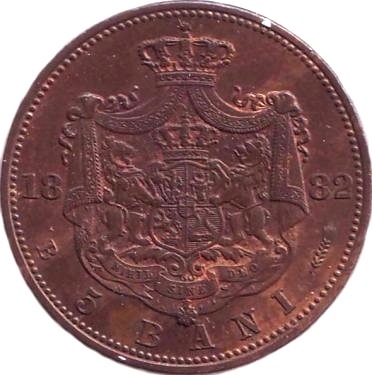 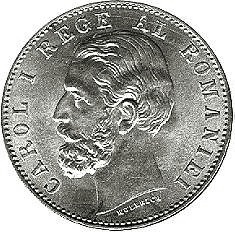 Circulation coins of Romania 1881- 90 CE (Circulatia monedelor in Romania 1881- 90 CE ). 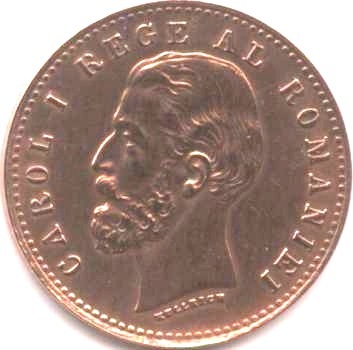 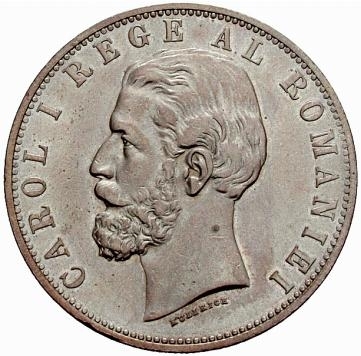 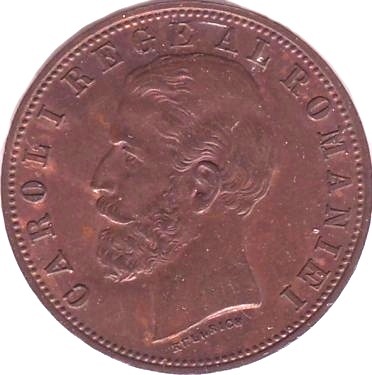 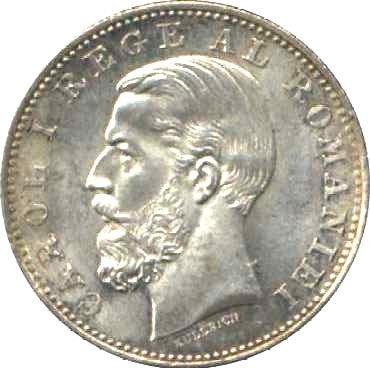 Obverse: Head of Carol I with inscription CAROL I REGE AL ROMANIEI. 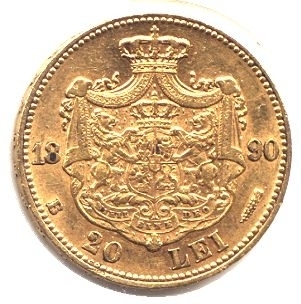 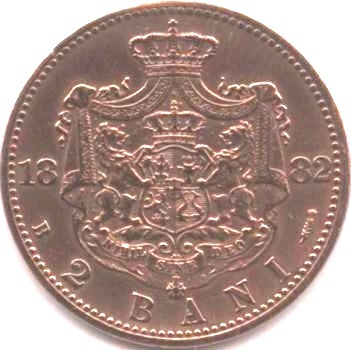 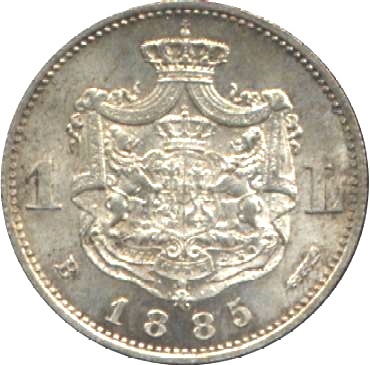 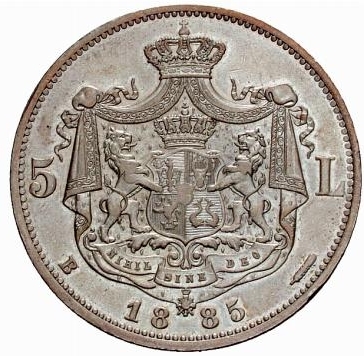 Reverse: Coat of Arms above the denomination. 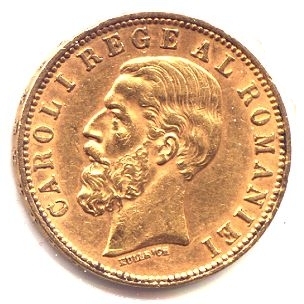 Obverse: Head of Carol I with inscription CAROL I REGE.